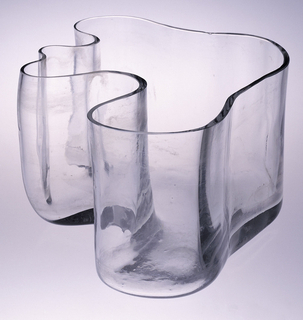 Iittala Glassworks in southern Finland was founded in 1881. The works expanded at the turn of the twentieth century and underwent a few changes in leadership. The Karhula Osakeyhtiö glassworks was founded east of Helsinki a few years later in 1888. In 1917, inflation due to World War I caused prices and wages to rise. Karhula Oy (part of the A. Ahlström Group, a timber refinery) bought Iittala Glassworks. Under Ahlström’s direction, the factory specialized in the production of chemist bottles and other domestic items. In the early 1920s, a sales agency was established to broaden the export market. 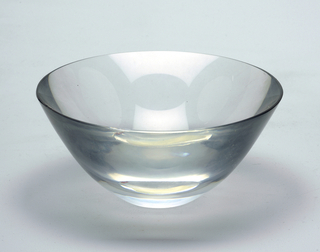 In 1932 Göran Hongell was hired by Karhula-Iittala glassworks. Hongell initiated collaboration between... more. 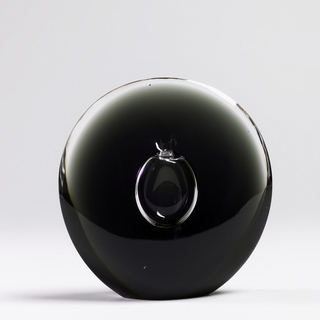 We have 4 objects that Karhula-Iittala Glassworks has been involved with.